Steve Harley & Paul Young join Gate to Southwell Headliners! Steve Harley & Cockney Rebel and Los Pacaminos featuring Paul Young, are among the star names being added to this year's Gate To Southwell Festival (June 6th to 9th). Joining an eclectic international line-up that already includes Sam Kelly & The Lost Boys, Skipinnish, Nancy Kerr, Blue Rose Code, Gordie MacKeeman & His Rhythm Boys and many more brilliant folk roots and acoustic music artists, Los Pacaminos and Steve Harley will headline the festival on Thursday and Friday respectively. 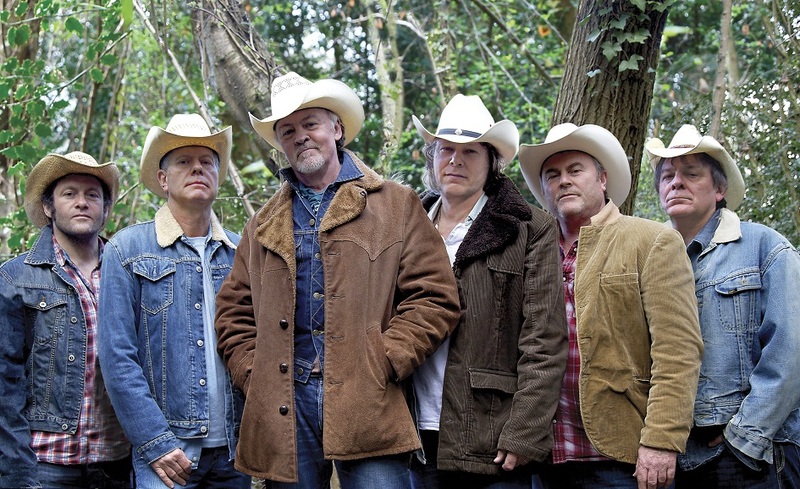 Paul Young, one of the UK's best-loved vocalists whose hits include: "Wherever I Lay My Hat', 'Love Of The Common People', and 'Every Time You Go Away', has been the charismatic front-man of the highly-entertaining Tex-Mex show band Los Pacaminos since 1993. Steve Harley, famous for worldwide hits such as 'Judy Teen', 'Mr Soft', 'Sebastian' and 'Make Me Smile (Come Up And See Me)', has been performing for almost 50 years, producing great albums including Cockney Rebel's 'The Human Menagerie' and 'The Psychomodo'. 'Make Me Smile (Come Up And See Me) was a global Number One in 1975. Both artists will be playing Southwell for the first time. The increasingly-popular four day festival at Southwell Racecourse welcomes back folk singer and activist Grace Petrie, California blues rocker Joshua Cook, trad supergroup The Tweed Project, the country-soul-meets-punk Louisiana sounds of Truckstop Honeymoon, and the multi-instrumental virtuosity of Ranagri. Plus young exciting Californian bluegrass band Blue Summit, upcoming Irish stars Jigjam, BBC Young Folk Award winners Josie Duncan & Pablo Lafuente, the fantastic folk rock dance band Blackbeard's Tea Party, "Princess of Cajun" accordionist Sarah Savoy, famous punk veterans Otway & Barrett, Nottingham's own gypsy jazz hot clubbers Maniere Des Bohemiens, world fusion crowd favourites The Activators, the highly-acclaimed Bird In The Belly folk collective, the rich harmonies of Norwich's Alden Patterson & Dashwood and the sweet-voiced addictive songs of pop rockers Morrissey & Marshall. In the great Southwell tradition of past events such as Dylan@75 and the Summer Of Love, there'll be a Woodstock@50 concert on the Saturday afternoon and Sunjay's Tribute To Buddy Holly on the Sunday. Plus a special Continental celebration featuring diverse European acts such as Spanish Basque folk dance band Korrontzi, the beautiful Dutch harmonies of SYA (Suddenly Years Align) and French-born favourite Flossie Malavialle.